The Greek word for fullness is pleroma which "describes a full measure or abundance with emphasis upon completeness without any gap or deficit. The idea of pleroma is sum total or totality of something." ~Bruce Hurt, Precept Austin. This word, like the word all, is another way that Paul exalts Christ and emphasizes our need for nothing else but Him. Using this word is another way Paul combats the false message of the teachers worming in on the Colossians. What is clever of Paul is that he uses the same word that the false teachers used. Some of the false teaching taking place in Colosse was believed to be an early form of Gnosticism, and one of their beliefs was that Jesus was one of many intermediary ways to God. They believed the fullness of divine powers and attributes were divided among various beings, such as angels. 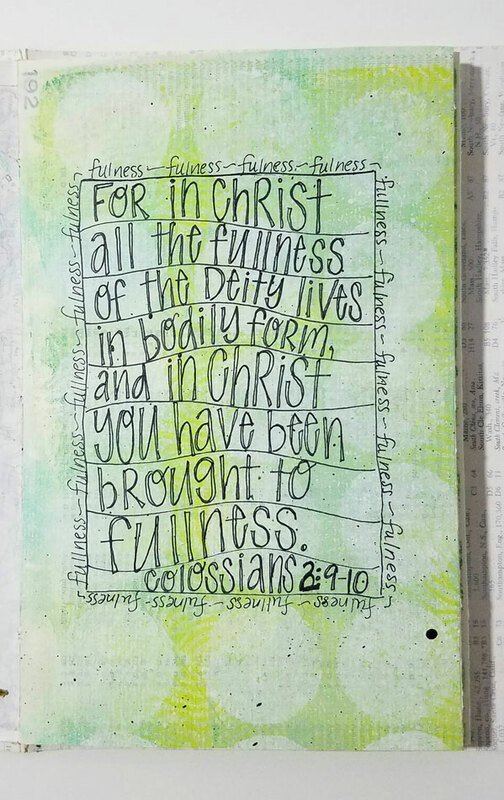 Thus, we see Paul's specific use of words to counter their false message, such as in Colossians 1:19 when he says that God was pleased - it was His will - that "all His fullness dwell in him". Even looking back to the prayer earlier in the chapter, in 1:9 where Paul emphasized that it is God who fills us with knowledge. "I have become its servant by the commission God gave me to present to you the word of God in its fullness— the mystery that has been kept hidden for ages and generations, but is now disclosed to the Lord’s people. To them God has chosen to make known among the Gentiles the glorious riches of this mystery, which is Christ in you, the hope of glory." The other part of the "full message of God" is that it centers on Christ - "Christ in you, the hope of glory" (1:27). In Christ, God's plan is fulfilled. As promised in Ezekiel 36:26-27, through Christ, God has placed His Spirit in us, enabling us to follow Him fully and to obey His will. Later in chapter 2 Paul addresses head-on the threat the false teachers may have had on the Colossians by again exalting Christ. "See to it that no one takes you captive through hollow and deceptive philosophy, which depends on human tradition and the elemental spiritual forces of this world rather than on Christ. 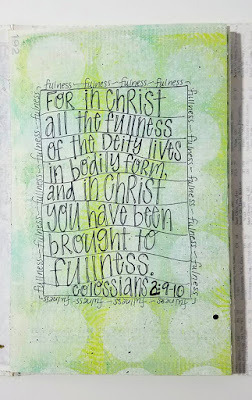 For in Christ all the fullness of the Deity lives in bodily form, and in Christ you have been brought to fullness. He is the head over every power and authority." Colossians 2:8-10. As theologian Bob Utley says, "Jesus is the full and complete revelation of God". 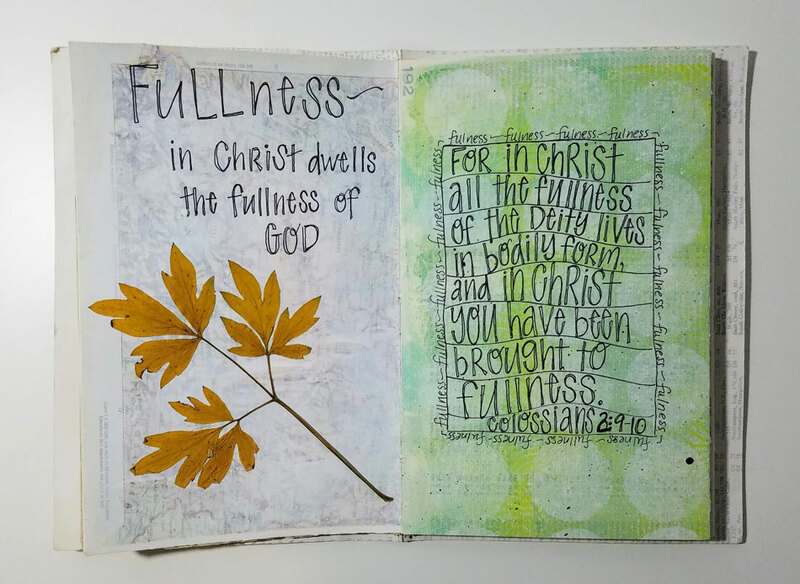 All of God is fully present in Christ. Notice how Paul contrasts hollow (or empty) and deceptive philosophy of the false teachers with being brought to fullness (made complete) in Christ. When we are in Christ we have all we need. He is the fullness of God. We are in Him, He is in us, we live in Him, He lives in us. 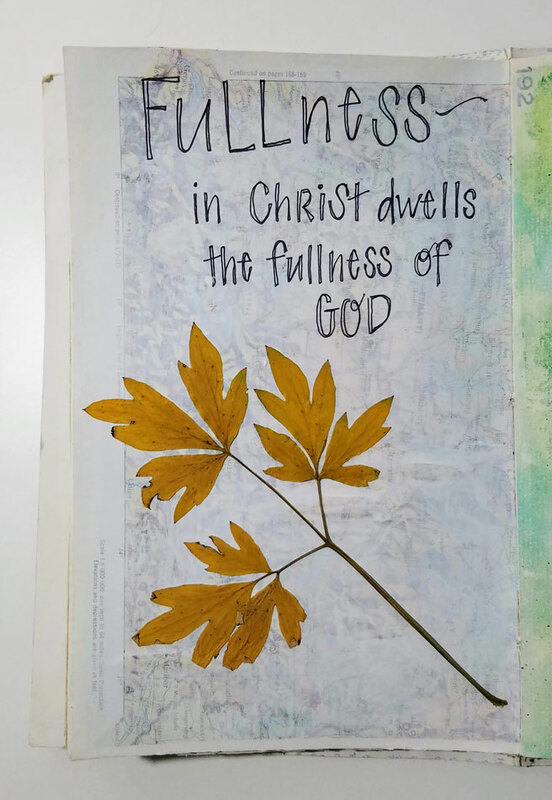 We are filled with Him.